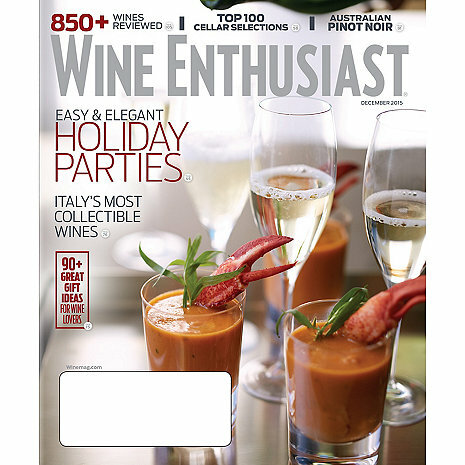 Subscribe to Wine Enthusiast magazine and receive one of the world's most well-regarded publications dedicated to wine, spirits, food and travel. Each month you will receive ratings and reviews of hundreds of wines and spirits, food recipes and pairings, and expert commentary on travel and cocktail trends. This offer includes 36 monthly issues PLUS a special bonus issue. is the subscription a hard copy? I thought I was going to get a hard copy in the mail. I do not like reading magazines online. Great magazine, but no easy way to do a renewal online. You have to try and match a new order with the expiration of your current subscription to minimize overlap. Needs to be addressed.